Tooth decay can wreak more havoc than just producing cavities. It can work its way into the innermost parts of the tooth — the pulp and tiny passageways called root canals that lead to the tooth's connection with the bone. If that happens, you'll need more than “drilling and filling.” Without intervention, your tooth could be lost. That intervention is a root canal treatment, a procedure that removes the infection from within the tooth and preserves it from re-infection. You've probably heard the old belief that root canal treatments are painful. With modern anesthetic techniques to deaden pain, that's not true. In fact, root canal treatments stop the pain caused by infected nerves within the pulp and root canals. More importantly, it saves your tooth. 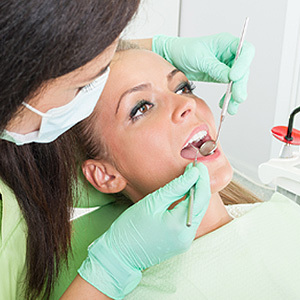 Root canals can be performed by a general dentist. More extensive decay or complex root canal networks may require the services of an endodontist, a dentist who specializes in root canal anatomy and treatments. Endodontists have advanced techniques and equipment to handle even the most difficult case. Regardless of who performs it, the basic procedure is the same, as is the goal: to completely remove all diseased tissue within the tooth and seal it with a special filling to prevent re-infection. To access the diseased pulp, we first drill an access hole, usually in the biting surface of a back tooth or the back of a front tooth. We then use specialized instruments to remove the infected tissue and flush out the space with antibacterial solutions. We then insert a filling called gutta percha into the empty pulp chamber and root canals, seal off the filling with adhesive cement, and close the access hole with filling. These fillings and sealants prevent bacteria from reentering the tooth. For added protection against infection and fracturing, we also recommend placing a full-coverage dental crown. This also enhances the appearance of the tooth, which must be modified during the root canal procedure. The end result: your once endangered tooth has been preserved for hopefully many years to come. So if we recommend you undergo a root canal treatment, don't wait — the tooth you save may be your own. If you would like more information on root canal treatment, please contact us or schedule an appointment for a consultation.